A thoroughly deep but gentle parts cleaning and renovation service suitable for Aluminium, Bronze, Magnesium, Titanium, Brass, Copper etc. Most popular with classic vehicle restorers and the sea diving community. We offer a collection and delivery service locally or items can be posted/couriered. It is always best to ring before popping in with your items to ensure that someone is able to take delivery. Turnaround time is generally rapid as we know the frustration at having to wait for parts to be finished. Whether your project is large or small, we can provide the resources and solutions you need to get the job done right. Almost any metal can be cleaned using vapour blasting including Aluminium, Bronze, Magnesium, Titanium, Brass, Copper etc. 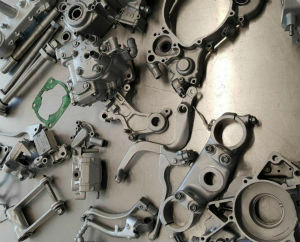 The process is ideal for cleaning and restoring the engine and related alloy parts. 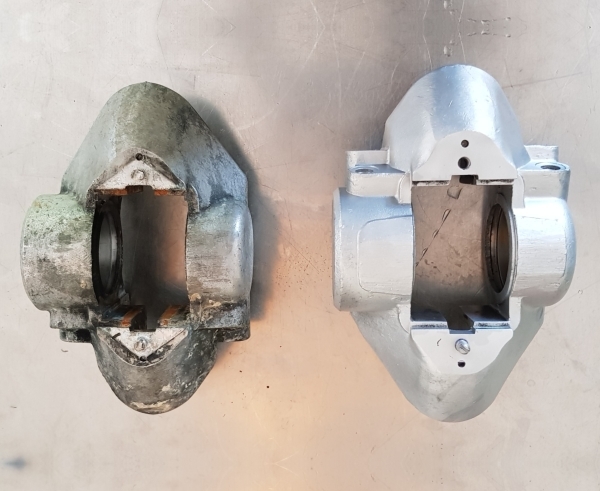 Using the latest high spec vapour blasting & ultrasonic cleaning equipment we can provide you with the ultimate finish that your restoration project deserves. 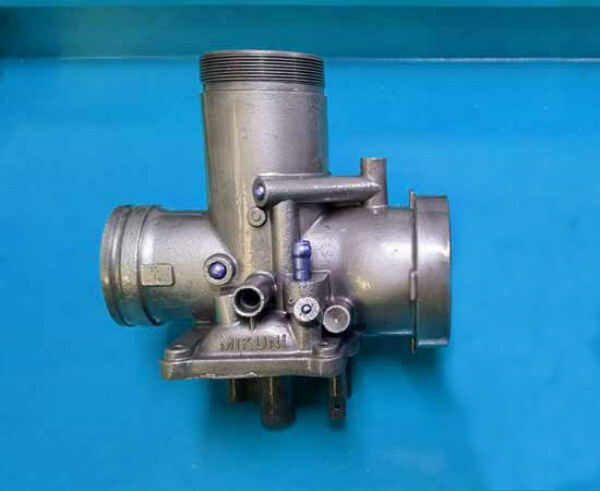 Ultrasonic cleaning is an ideal solution to clean difficult to parts ie carburettors. 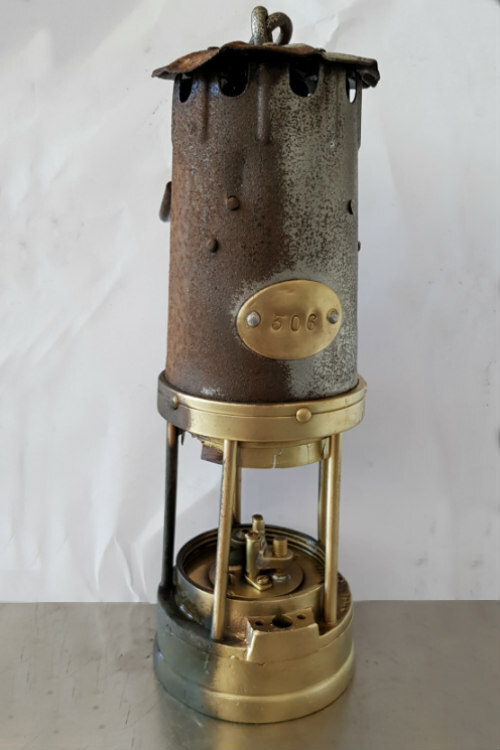 We can clean most metal components and antiques using aqua blasting to return them to their original condition. Wheel stripping is a process we also offer. We can strip your old paint/powder coating & lightly blast the surface to give it a nice key for repainting/powder coating. We don’t offer a powder coating service but we can put you in touch with a local company that offers a 1st class finish. This gently cleans the surface without damage leaving a nice satin finish which is very easy to keep clean. We offer a wet vapour blasting service for cleaning, polishing and reproducing silky smooth finishes on most metals or similar metallic substrates. If you have never come across vapour blasting before it’s basically a water blast technique that fires an abrasive slurry at the piece of work using compressed air. The advantages over normal blasting are the water cushions the abrasive preventing it from cutting the material. The surface is peened and washed at the same time giving a lovely sheen to the finish that is far more resistant to marking than normal blasting. Being water based means it’s a dustless process. The vapour blasting process is suitable for Aluminium, Bronze, Magnesium, Titanium, Brass, Copper etc. It will gently clean the surface without damage to gasket faces or machined surfaces. Producing a satin finish which can be handled without picking up finger marks and gently peens the surface so can help reduce porosity in castings. 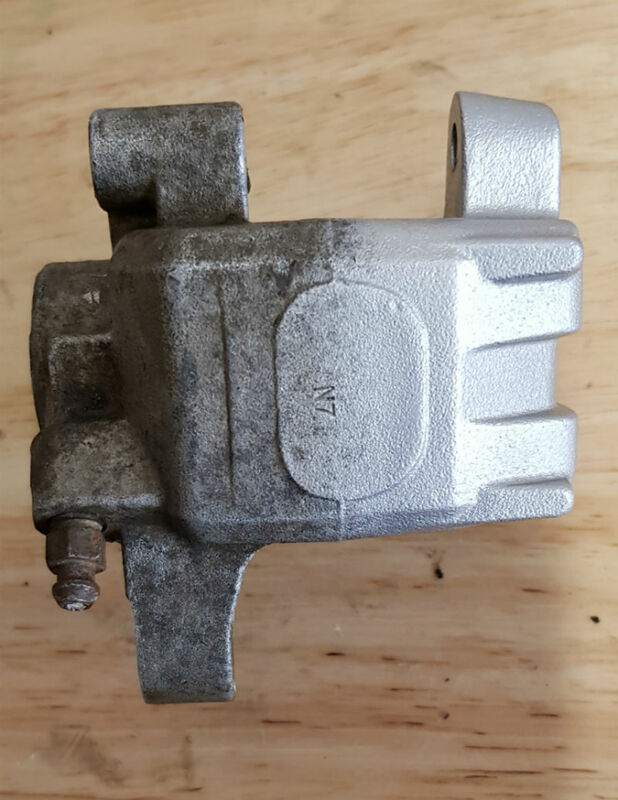 The process causes no damage or scouring to the material which means that gasket faces and bearing journals are left totally unscathed. 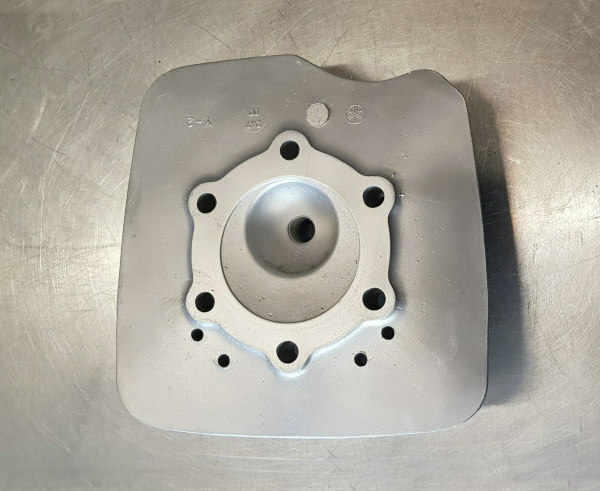 The 1st stage of the process is to ensure that the items to be vapour blasted are completely free from traces of paint or grease as the slightest contamination can have an adverse effect upon the vapour process. If time is pressing, or you lack the necessary cleaning equipment or it’s just a case of not being confident of being able to clean the item to the required standard then we will provide this service for a small additional charge, depending upon the cleaning level required. Pricing is dependant upon the item’s condition (painted, oily, greasy etc). This WW2 submarine part was picked up from the seabed and treated to a good clean up to bring it back to life. 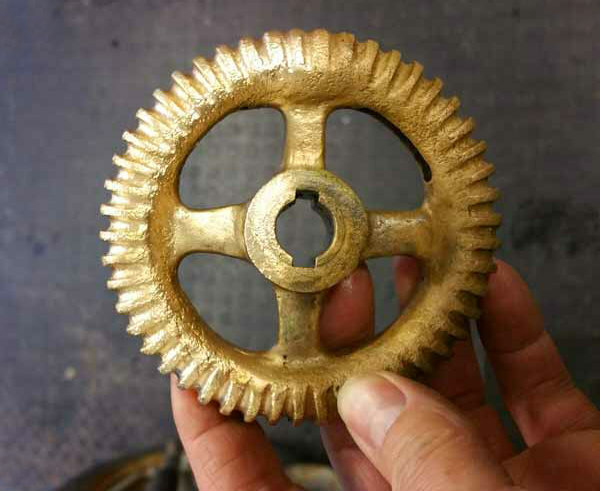 This Submarine torpedo button was retrieved from the seabed by a local diving club and turned out nice. 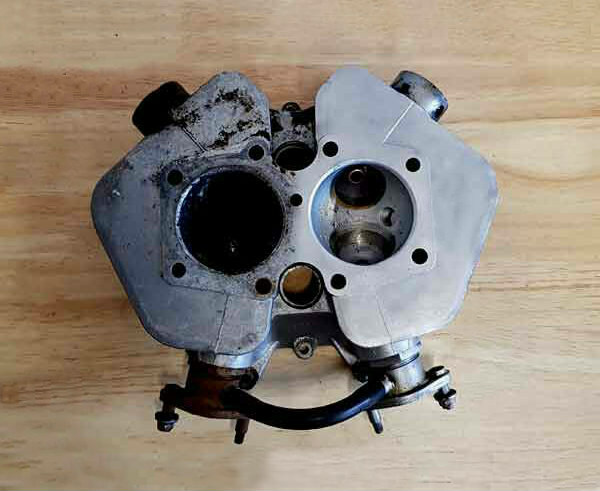 This carburettor from a classic 70’s motorcycle was just part of the whole engine that we restored before it was reassembled by a local enthusiast..
Suzuki cylinder head vapour blasted and brought back to life after years in a shed. It looks better than new. Here you can see a cylinder head part way through the vapour blasting process. 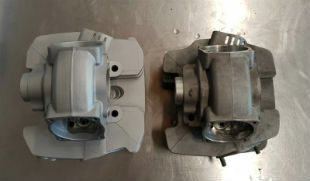 Before and after picture of a motorcycle brake caliper that was treated to a bit of TLC.